Among synthetic injectable anabolic steroids – other compounds as testosterone, which is the natural product – is Trenaplex A100, probably the most extraordinary. Of all the synthetic steroids, it is certainly the most noteworthy for mass gains, strength gains and the competition preparation. A second reason is that the estradiol levels fall too much if trenbolone is used alone. This is the case because the natural testosterone production is suppressed during the use of trenbolone, which suppresses the natural estradiol in return. And since Trenaplex A100 itself unflavoured (will convert to estrogen), very little substrate for a flavoring is present and estrogen production drops to abnormally low levels. This can cause problems with respect to the joints, mood and libido. Concomitant use of testosterone, Dianabol or HCG with trenbolone can solve the problem estrogen. Typically, at least 100 mg of testosterone per week or at least 10 to 15 mg per day Dianabol be used for this purpose. Trenaplex A100 shows an interesting combination behavior in conjunction with other agents. A combination with Dianabol or Anadrol results in a very strong synergistic effect. Even if the same total amount is used to steroids in milligrams per week, the results fall in such a combination, much better than with the use of one of these steroids on its own. The use of 50 mg Trenaplex A100 per day in combination with 50 mg Dianabol per day provides as much better results than either 100 mg Trenaplex A100 or 100 mg Dianabol per day used alone. I would recommend any of these single doses of a steroid cycle, but the Trenaplex A100 / Dianabol Stack has caused amazing changes of body development in very many cases. In contrast, the combination of behavior Trenaplex A100 coincides with oxandrolone (Anavar), methenolone (Primobolan) or Drostanolon (Masteron) is completely different. When using the same total amount of active ingredient in milligrams, then these combinations show no more effective than the sole use of trenbolone. Even if it is acceptable to combine these ingredients with each other, the purpose for this purpose should not be to achieve an increased overall efficiency. However, such combinations can be useful when it comes to reducing the side effects, or to use the materials that we have at hand. Trenaplex A100 is commonly used in dosages of 35 to 150 mg per day and most often in a dosage range of 50 to 100 mg per day. The 35 mg value is only appropriate if you have a high personal sensitivity to trenbolonspezifischen side effects. If the Trenaplex A100 dosage is as low and an effective steroid cycle is desired, another injectable anabolic steroid should be added. Masteron is a good choice for this purpose. Another, quite different choice is testosterone. As for the higher value of 150 mg per day, this is usually used for the purpose of increased excitation of the nervous system as compared to 100 mg per day, and not for additional gains in muscle size or strength, which maximizes already at 100 mg per day or approximately are maximized. Most users can see 50 to 75 mg Trenaplex A100 per day as the ideal dosage range provides as part of a steroid stacks excellent benefits. This amounts in milligrams are unusually low for an injectable steroid like Trenaplex A100. Part of the reason for this is that trenbolone (per milligram) is amazingly effective. Another reason is that the acetate ester is unusually light, which means that a high percentage of trenbolone acetate molecule is the active steroid. Up to a certain extent you have to pay for this a price in terms of side effects, but not nearly to the extent that the imagine many. While a few Trenaplex A100 for reasons such as an increased tendency to aggression, night sweats or a reduced aerobic performance view as problematic, see the most about these side effects as minor and easy to handle, or in person for them not to exist. Whether one uses Trenaplex A100, enanthate or Cyclohexylmethylcarbonate (parabolic), it should never be the only steroid a steroid cycle. The mass gains will be severely limited if you only use Trenaplex A100. 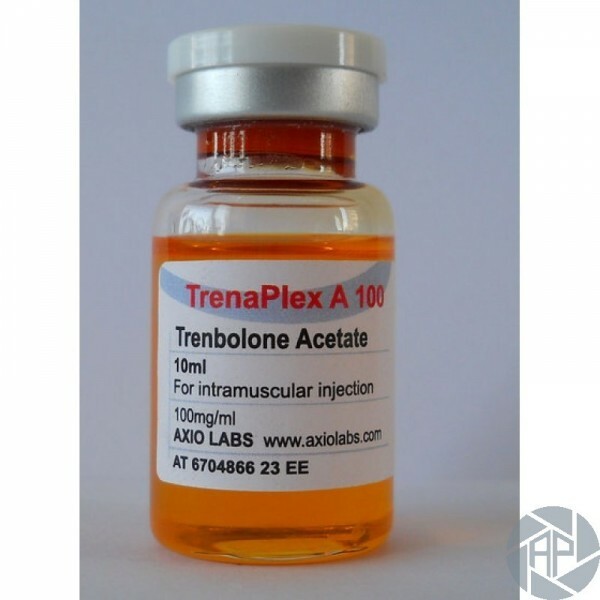 Instead Trenaplex A100 should be combined with Dianabol, Anadrol or testosterone as the most widespread and very suitable choice.